The focus of Literacy Launchpad is children's literacy and literature. I accept products for reviews, giving preference to picture books; teacher/parent literacy training and resource books; as well as children's reading and literacy toys, games, and tools. I will always be professional, but honest in my reviews, favorable or unfavorable. I try to get to reviews as quickly as possible upon receiving a review copy or product, but sometimes it can take a week or two depending on how hairy life is at the moment (I have three needy children). Acceptance of a review copy or product does not guarantee a review. Reviews will get coverage on my blog, as well as Twitter and Literacy Launchpad's Facebook page. I have an e-reader and will accept e-book formats, as well as children's book apps, or children's literacy/literature apps for review. I don't always have time to respond to every review request. If it's not something that I'm interested in reviewing, I will likely not be able to respond to your email, because there are only so many hours in a day. I'm sorry! I also enjoy featuring author/librarian/teacher/reader interviews, guest posts, and any other creative content that give my readers a unique and interesting look at an author, illustrator, book, or other aspects of children's literacy/literature. 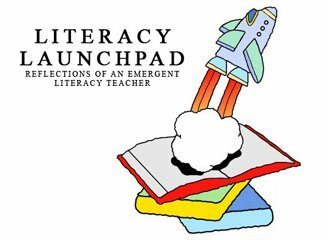 To get in touch with me regarding reviews, recommendations, questions, contributing, or other children's literacy/literature miscellany, please email me at info (at) literacylaunchpad (dot) com.